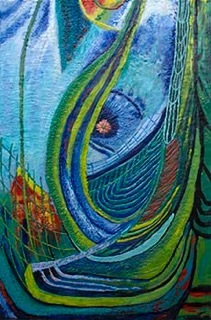 Australian artist living and working in Tallai, Gold Coast. Queensland. Born in Yarram, Victoria. Studied Art at La Trobe University Bendigo from 1992 – 1996. 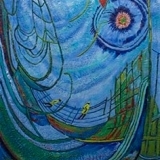 My work could be described as eclectic as it is continually evolving and incorporates new technology as well as contemporary and traditional techniques. 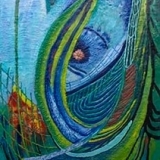 I have created fantasy, abstraction, surrealism, as well as traditional realism. 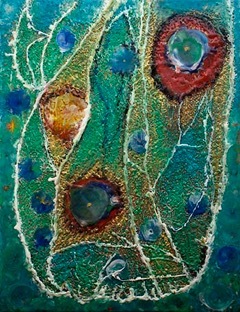 Encaustic: My latest body of work is exploring Encaustic painting, also know as hot wax painting. 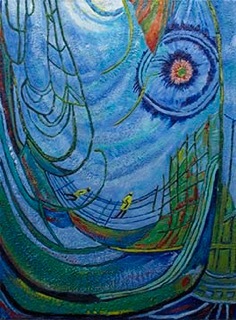 Encaustic is the medium which consists of molten beeswax, resin, and pigments that are fused after application into a continuous layer and fixed to a support (wood) with heat. This achieves a lustrous enamel appearance. 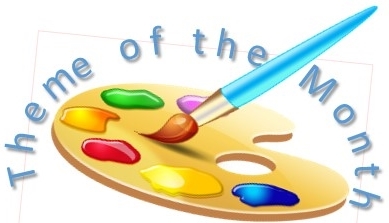 The word ‘encaustic’ comes from the Greek and means to burn in, which refers to the process of fusing the paint. 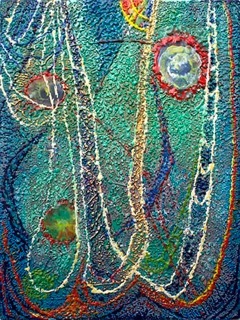 Encaustic paintings can be polished to a high gloss, molded, sculpted, textured and combined with collage materials. 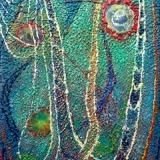 Encaustic work is the most durable of artist’s paint and an excellent investment. This is due to the fact that beeswax is impervious to moisture. Because of this it will not deteriorate, it will not yellow, and it will not darken. 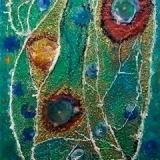 Encaustic paintings do not have to be varnished or protected by glass. If the painting looks dull, or gets dirty it can be wiped clean with a soft cloth dampened with water and buffed to a high shine.